Newcomer Family Obituaries - Matthew A. Six 1970 - 2019 - Newcomer Cremations, Funerals & Receptions. 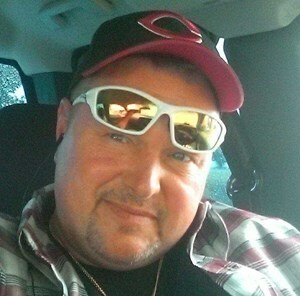 Matthew Allen Six, 48, passed away unexpectedly Saturday, April 6, 2019 at his home in Orient, OH. He was born in Columbus, OH on June 2, 1970. Matt was preceded in death by his father Jim Six. He is survived by the mother of his children, Theresa Gualtieri, daughters Chelsey Gualtieri, Cierra Six, Eva Six, son Vincent Six, grandchildren Averi White, Liam White, parents Rose and Richard Young, sister Ronda Wilson, brothers Jimmie (Angie) Six, Larry (Karen) Six, Robert (Candy) Six, along with many nieces, nephews, aunts, and uncles. Matt was a loving father, grandfather, son, brother, and a friend to many. Matt was a man of humor, who could have a conversation with about anyone he spoke to. He enjoyed spending time with his children and grandchildren more than anything. There is no doubt for the amount of love he had for his children and his mother. Visitation will be held from 9am to 11am, Friday, April 12, 2019 at Newcomer, SW Chapel, 3393 Broadway, Grove City, OH, where a funeral service will begin at 11am. Burial will follow at Sunset Cemetery, Galloway, OH. Add your memories to the guest book of Matthew Six. It’s with a very heavy heart that I am writing about Matt today! He came into Bobs Bar frequently and was liked by us all! He loved to play tickets! He always had a big smile on his face! I didn’t know him very long but feel blessed I had the moments I did have. My sincere and heart felt sympathy goes out to Matt’s family and friends! I’m so sorry for your loss! He will be sorely missed by all of us! RIP Matt...until I see you again! Matt will be greatly missed. The fond memories will get you through. Dear Family, cherish the precious memories and times together. Matt was a caring and loving person to all. Rest In Peace Matt, you will be missed and never forgotten. Love aunt Mary Ross (Haywood) families.